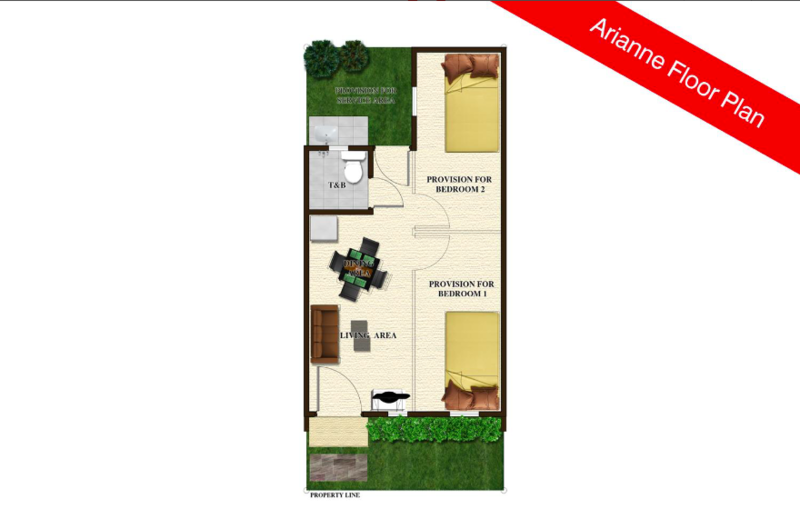 Arianne Model in Lumina Pandi is a single-storey, cluster type of house and lot for sale in Pandi, Bulacan. 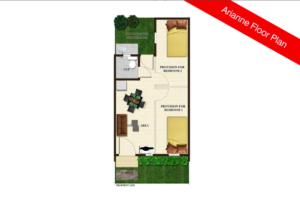 Arianne has a floor area of 26 square meters built on a minimum lot area of 36 square meter. Arianne in Lumina Homes Pandi has provision for 2 bedrooms, 1 toilet and bath, living room, dining area, and kitchen area. 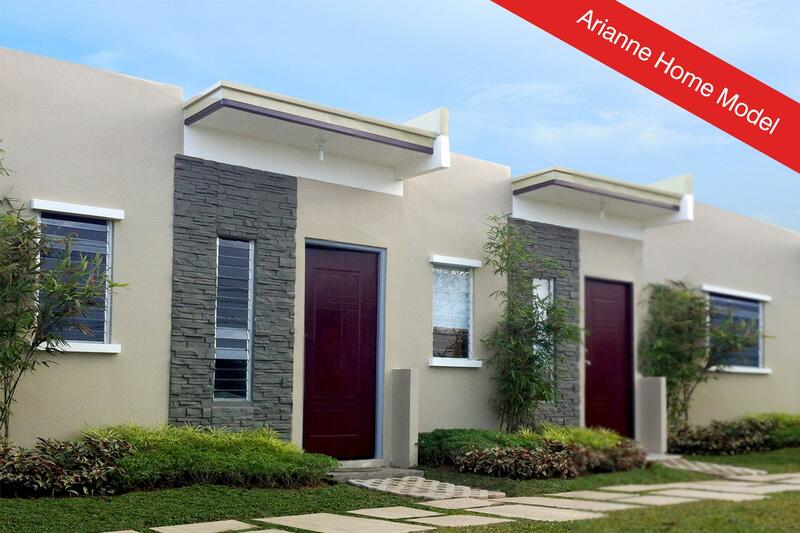 Arianne is offered in Lumina Homes Pandi community, Lumina Pandi is located at Baranggay Pinagkuartelan, Bulacan. Arianne model in Lumina Pandi is a Bare finished. The above photo of the dressed up house is the same exterior turnover finishes and materials for Arianne.